With the warmer weather on the horizon, we thought we'd re-visit our blog which demonstrated the flexibility a shutter solution can provide. Are you inside or out? 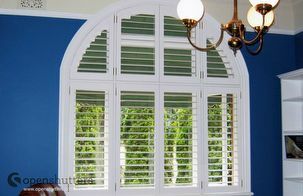 Shutters let you choose. Did your parents used to tell you to "shut the door behind you, do we live in a tent?" Australians no longer need to live in houses that force us to choose between being inside or out. For a wide-open, big-sky country, the appeal of bringing the outdoors in makes sense. 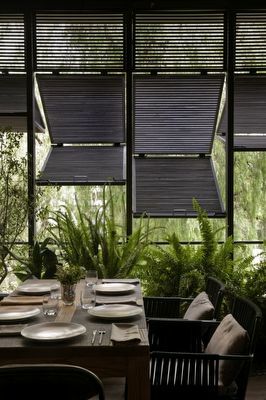 OpenShutter's range of timber shutters and aluminium louvres open new possibilities for flexible use of the built space. They let people control the level of openness depending on the time of day, season or mood. 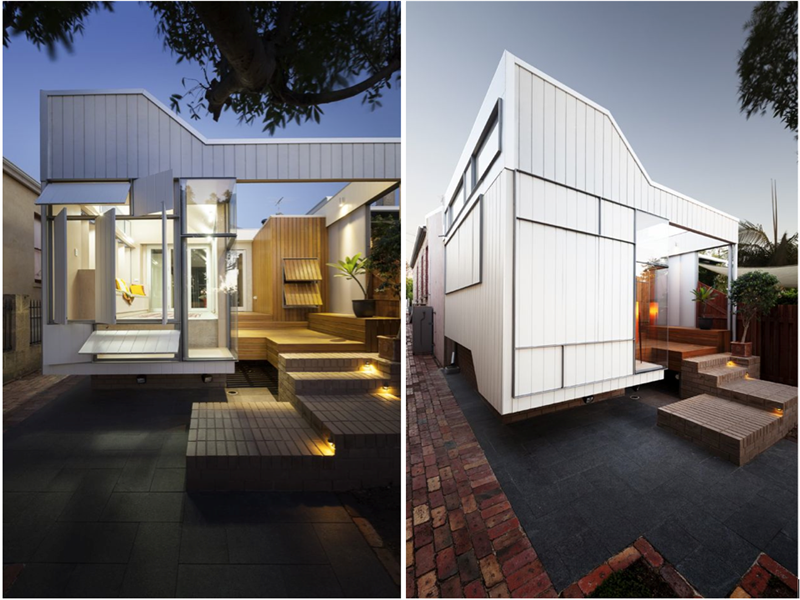 Here are some of our favourite design solutions for managing the transition between external and interior living spaces by Australian and international architects. 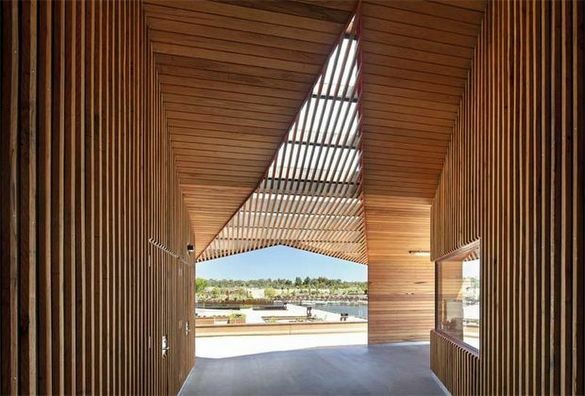 When these shutters open the outside comes in, a finalist for the 2014 AIA National Architecture Awards. Pittwater privacy screens, or enjoy the view. Aluminium shutters are the practical choice for outside waterside. When the sun is high, raise the shutters. 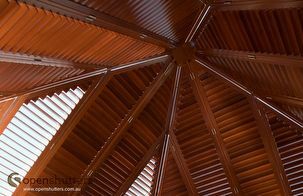 Timber garden shelter by BKK Architects. Louvre walls open out on Barn House Eelde / Kwint Architects. 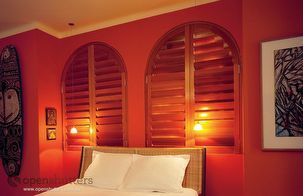 Window shutters are a valuable addition to any home, adding a unique style that will last the ages. Available in a wide assortment of styles, materials and colours, designers and home owners are left with no shortage of choice when deciding on which shutters are best suited to their project. Beyond the aesthetic appeal, shutters play a crucial role in the comfort of a home. The amount of light, air and heat allowed in and out can all be significantly impacted by the type of shutter specified. 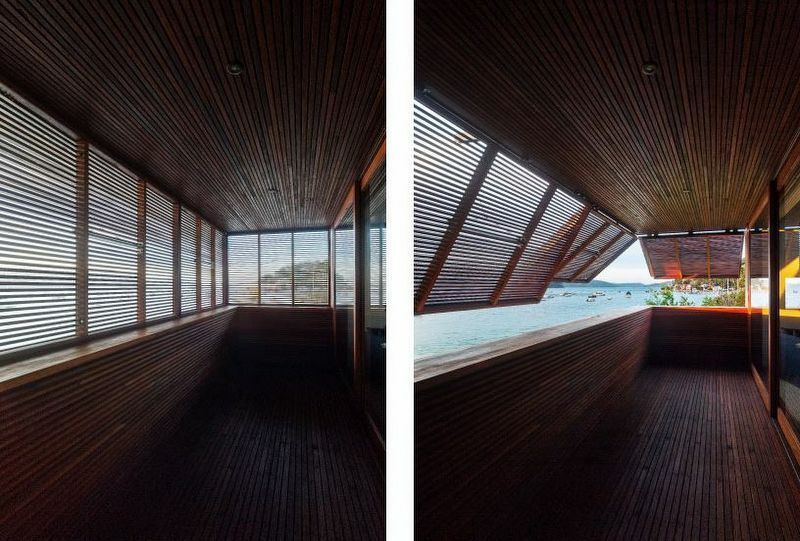 With the cost of electricity in Australia at an all-time high, and sustainability a key element of modern design, the thermal performance of a shutter is one of the most important considerations in the specification process. As glass windows possess virtually no insulation qualities, heat easily escapes in winter and radiates inwards in summer, causing an over reliance on heaters and air conditioners. The addition of shutters essentially create a barrier that results in notably improved insulation – hence the oft-recited ‘warmer in winter, cooler in summer’ mantra of so many window covering companies. However, not all materials are created equal, and as such not all window shutters provide the same level of insulation. While beauty is in the eye of the beholder, and debate over style starts and ends with personal preference, the conversation regarding thermal properties of different shutter materials has been far more contentious, with claims from all corners that their shutter is best. 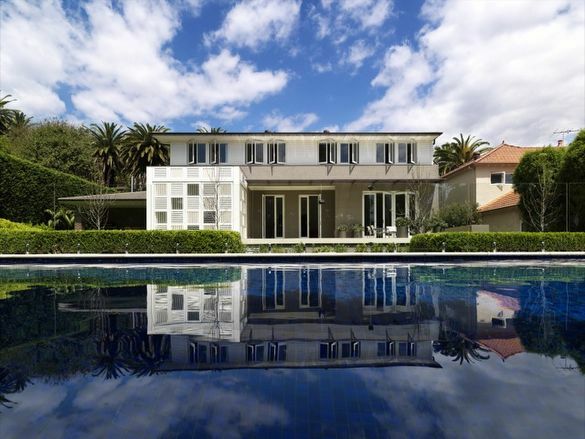 A recent study from The University of Newcastle School of Engineering compared the most popular types of window coverings in regards to thermal performance, with performance measured by the percentage of temperature difference achieved by each. The study involved the testing of a range of windows covering types, including shutters, blind and curtains, and a range of different materials including polystyrene, aluminium, basswood, thermo PVS and western red cedar. While some results were already foregone conclusion (don’t rely on curtains for insulation), the performance of other popular materials may surprise. To see which shutters provide the best thermal insulation, check out the results in this infographic. 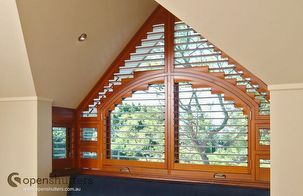 Our family owned business has been making bespoke timber shutters and louvres in Australia for over two decades. 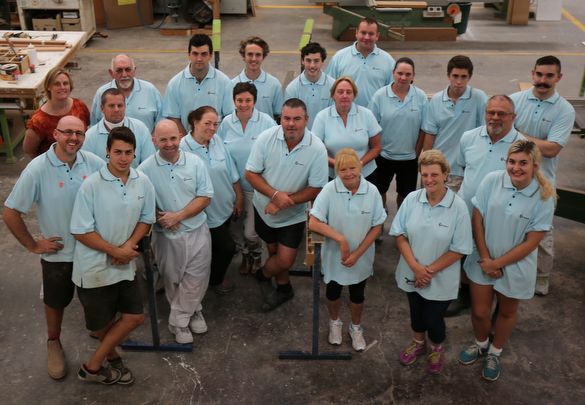 The OpenShutters factory on the NSW Central Coast has been a vital part of the local community, offering fulfilling career paths for hundreds over the years. Numerous specialist local suppliers are also part of our extended family. Manufacturing is still the fourth largest employing industry in Australia, with 945,900 people (or 8.2% of the total workforce). While most people are aware of the loss of some jobs to robots in factories overseas, the good news is less well known. Over the the last decade Australian wood product manufacturing employment was up by 12,400 or 29.6%. The stats show the manufacturing sector workforce is older than the workforce as a whole, with 39.7% of manufacturing workers aged between 45-64 years, compared with 35.6% across all industries. OpenShutters has taken the initiative to counter this trend. Perhaps it’s time to look beyond using the term sustainable and start thinking regenerative. Most recognise you can’t have a sustainable forest if you don’t regenerate what you remove. We believe to have a sustainable business we need to train the next generation of staff to carry on the tradition of our more experienced craftspeople. The OpenShutters team includes qualified carpenters, joiners, cabinet makers and other specialists passing on decades of knowledge to our young trainees. 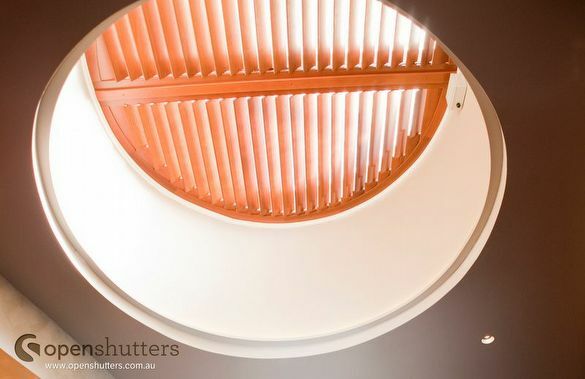 Along with a lower Aussie dollar, we see a bright future for making quality shutters and louvres from sustainable timber for Australian conditions, here in Australia. Source: ABS, Labour Force, Australia, Detailed, Quarterly, cat. no. 6291.0.55.003, four quarter average of original data. Less energy in manufacture makes for a better environment. The 40kw solar power system Open has installed is a win-win – the money saved over time Open will put back into R&D to create an even better shutter. How often have you bought something and, before you know it, find yourself throwing it out because it broke or didn’t perform as expected. 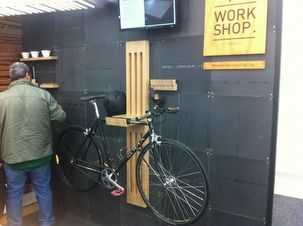 Too many of the items we buy look good in the store but fail to deliver any lasting value. Perhaps one answer is to spend more, on less. There is an emerging theory that we would all be better off by avoiding the temptation to have more stuff. Forget idle fancies and superficial products, concentrate on what will add value to your life over time. Then do your research and buy the best you can afford so it lasts. At OpenShutters we practice what we preach – when we invest in a project, we do so with no less a desire for long lasting value than we would expect of our customers. One way to afford better is to spend less on power. Which is why we’ve made a sizable investment in solar power with the installation of over 100 solar panels at our 2800m2 Central Coast factory. Solar power is a win-win, not only does it deliver long lasting value but also an ongoing positive environmental impact. The money the 40kw system will save over time OpenShutters will put back into R&D to create an even better shutter. Back in 2004 we won the Energy Australia Innovation Award for Environmental Practice. 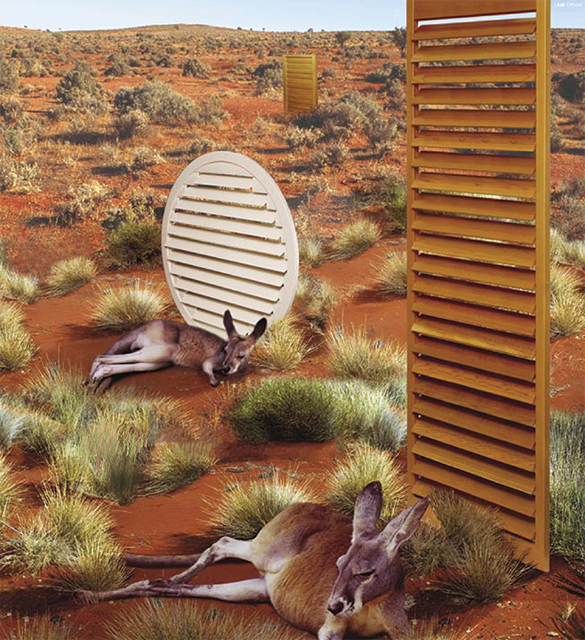 OpenShutters continues to champion new ways to embed sustainability into our products, it’s one of the reasons we continue to manufacture in our own factory in Australia. This enables us to control everything that goes into the production process. OpenShutters source cedar from eco-managed sustainable forests, we accept responsibility for waste management and run a comprehensive recycling program. Timber shavings go to local sporting and farming operations; metal off-cuts are recycled; and paint waste is disposed of responsibly. As well as being responsibly made, our cedar shutters continue to repay savvy purchasers for years by lowering heating and cooling costs. Cedar shutters have an R value 4 times that of brick. Whether installed in domestic or commercial projects, Western Red Cedar is an excellent thermal insulator, far outperforming polymer, concrete or steel. 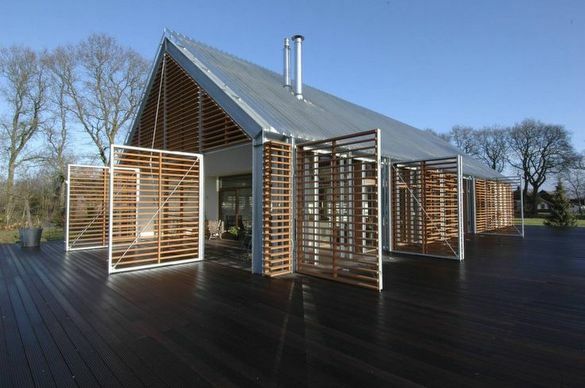 In fact, cedar prevents heat transfer over 2,000 times more efficiently than aluminium. Something to consider when planning your next project. If you’re an architect or designer, this tweet from Banksy sums up the frustration creative people often face when trying to bring fresh ideas to life. Many outside the industry think the only challenge for architects is getting ideas past clients who may lack imagination. Actually, we’re finding customers today are becoming more discerning and more receptive to bespoke solutions. More often it’s the struggle to build and install that limits creativity. There is cause for hope. We’ve had an increasing number of conversations with clients and on social media about the benefits of Design Thinking in bringing new ideas to fruition. 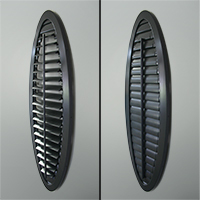 When it comes to louvers and shutters, there are an increasing number of enquiries from designers whose clients are no longer just settling for off-the-shelf solutions. Clients are raising thoughtful wishes for ways to divide spaces flexibly, seeking more fluid connections between inside and out, new ideas for defining outside spaces and managing privacy. There is also a growing recognition of sustainability of materials and natural ways of managing light and air. We are enabling these new trends. Over twenty years we’ve listened to clients and their needs and explored with architects lateral ways to solve design challenges. This has required ongoing re-investment in training, as well as constantly introducing new technologies and developing our purpose-built manufacturing facility on the Central Coast. Investment in people and practices has enabled the evolution of a better range of products. With an open mind, we’ve explored the properties of materials and their performance over time in interior and exterior applications, from different timber species to hundreds of fixtures and fittings. We’ve also learned a lot from feedback from homeowners over years of use. While others simply supply, we take responsibility for the entire project. This extends from concept and prototyping, through manufacture to supervising installation. So our learning is all encompassing, all with an eye for ensuring usability and longevity. The last decade has seen many local manufacturers close as Australia has been swamped with cheap mass-produced products. We’ve maintained a value-adding relationship with architects and designers who don’t believe in compromise. Our reputation for quality bespoke timber louvers, screens and shutters that are fit for purpose and last continues. It’s the result of a long-term family business view – a determined belief in the timeless value of great design and craftsmanship. Over decades we’ve built on these experiences to establish a Design Thinking culture. Our name says it all, we are open to new ideas and random thoughts from diverse sources. This means when you ask for a new way to fill an opening, when others say it can’t be done, we have a method for bringing ideas to life. 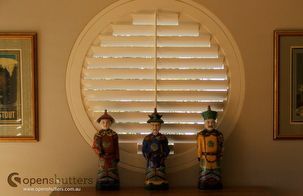 OpenShutters have been the leading maker of cedar shutters in Australia for over 20 years. 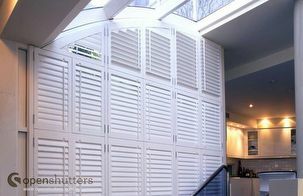 We are specialists in creating shutters and louvers in all shapes and sizes. Architects come to us when others say “not possible”. 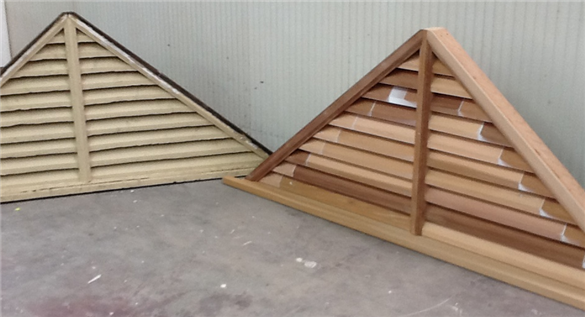 OpenShutters' timber of choice is solid western red cedar. 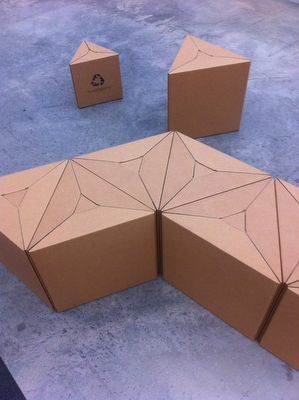 This sustainable timber is light weight, a good insulator, stores carbon, long lasting and very stable. We use cedar not only when a natural timber finish is required, it's used in our white painted shutters as well as in louvres and screens. This is not the industry norm, paint often hides many compromises for the unwary. 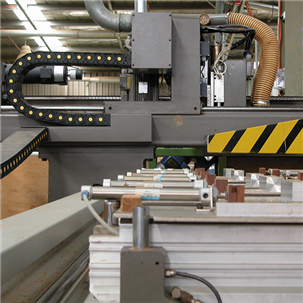 Unfortunately others use 'manufactured' or 'engineered timbers' – cheap pieces of wood from a variety of unstable timbers which are glued together to create one piece. Some imported shutters, sold as western red cedar, are in actual fact an 'engineered timber' core with a cedar veneer surface glued on. This is a cheap alternative for the manufacturer but offers little benefit to the end user. Wherever glue is used there is a risk of de-lamination and cracking. Our master craftsmen love a challenge. Over the years they have shown whenever a designer asks us to create a shutter in an unusual shape, they can generally make it with blades that can open and close. 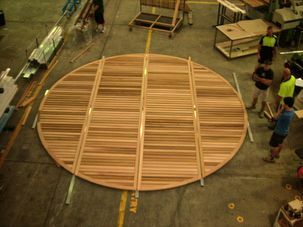 From oval plantation shutters for homes, to the 6meter diameter motorised cedar louvre pictured in our factory prior to installation at the Burwood RSL. 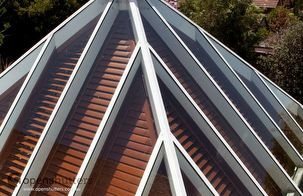 This heritage roof gable louvre, pictured below, is a perfect example of how we can solve architect's problems. The original was a timber vent with fixed louvres. Our team replicated the proportions and original features in western red cedar, with blades that now can be adjusted to let in light and air, or closed to shed rain. Whatever your project needs, just speak to us. We're local and would love the opportunity to bring your ideas to life. Call Wendy on 1300 136 911 between 9am and 4pm (Mon-Thu) or 9am and 1pm (Fri) for the cost of a local call. This year getting to designEX in Sydney was harder than just finding the time, it was an orienteering challenge. Attendance was proof you were a determined design tragic, you had to find the temporary exhibition space tucked away in the back of an old container terminal under the Balmain side of Anzac Bridge. No walking access and a steep flat fee for parking then a hike across the tarmac to a back door entrance certainly was a barrier for many. Lets hope the new Sydney Convention and Exhibition Centre justifies the inconvenience as well as the demolition of Cox's 80s Darling Harbour buildings. 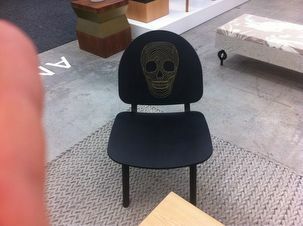 So if you didn't make it to designEX this year you are excused. 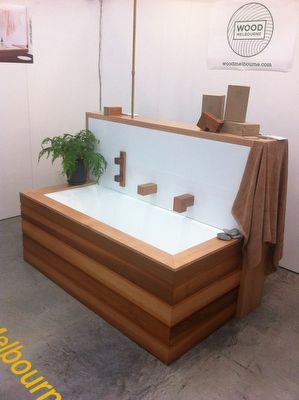 Here are our favourite Australian designs, they caught our eye for inspiring ways to use timber. As you can appreciate we love wood, so we'd like to spread the warm feelings. Check them out on our Pinterest account too! 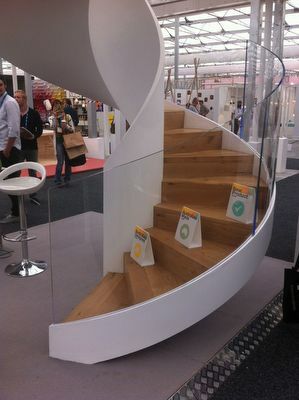 Timber spiral staircase by enzie with continuous steel frame (left) and timber bathroomware by Wood Melbourne. 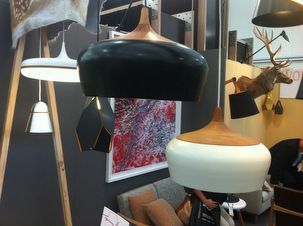 Wood lampshades with retro twist (left) and timber bike storage rack by Brisbane based Work-Shop BY MGDC. 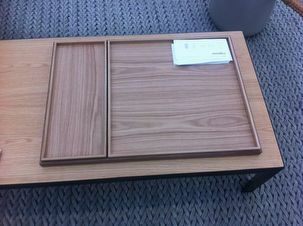 Simple stripped back design – wood chair and timber trays, both by Anomaly. 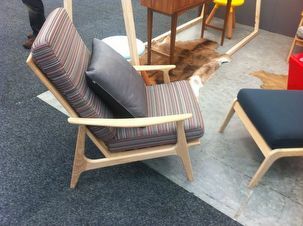 Classic timber framed lounge chair (left) was in stark contrast to the cardboard version by Fold Theory. Looking beyond the primary colours of Red, Orange, Yellow, Green, Blue, Indigo & Violet. You won't be surprised to discover white has consistently been the most popular choice for painted shutters over the years. What you may not be aware of is a rediscovery of the warmth and timeless qualities of natural timber finishes. At the same time, a confident use of vibrant colour is making a resurgence. There is an art to working with colour. In this video an artist explains the basics of understanding colour and hue. It's helpful to know some theory behind what makes colour work in a design sense. It's also important to know if what you see is the same as someone else. To understand whether you are talking about the same thing, you need to know if you or the people you are working with are colour blind. About 1 in 10 males and 1 in 200 females have the most common red-green form of colour blindess. Around one in thirty females see colours men can't. 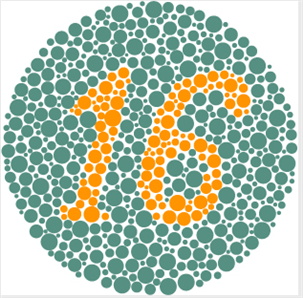 Take this simple colour blindness test, and see for yourself if you are colour blind. See how you rate on a more incremental colour arrangement test. What colour is white? How designers see it. When you think white, what you see in your mind might not match what you see. As designers often find, one person's idea of white can be different to others'. The differences can be caused by a number of factors. White is the lightest colour your eyes can possibly see. Light is made up of three components, red, green and blue. White is what your eye sees when light is brighter than the surroundings and has the red, green, and blue in exactly equal shares. It has no shading or greyness and no hint of any colour. Yet what we actually perceive is effected by everything from the brightness of the surroundings to the source of light. For instance, whether we are outdoors in bright sunshine or inside at night under 30 watt light bulb, the same white will look different. When we view a white painted shutter under a low pressure light bulb it will actually look a pale creamy yellow. Whereas if we were to turn on a halogen bulb lamp it would look white. 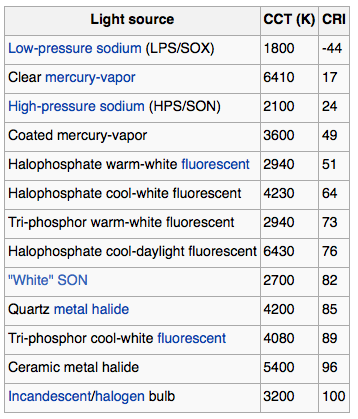 Different light sources can be measured by their "temperature", which runs on a scale of degrees Kelvin (K) from low to high. Not to be confused with the temperature of the air, the colour temperature of a light source doesn't change with the weather. As we move up the scale of K temperature of each light source, the colour hue changes, from shades of warm red and yellow, through crisp clear white, to blue. The next chart shows the K temperature of different lights. It is ordered by the CRI value, which is an ascending measure of brightness. Depending on the type of light a white shutter is viewed under, the same white could look a different hue of colour and shade of grey. A white shutter viewed under a traditional low pressure light bulb of 1800K will appear a pale pinkish hue and because it's a dim light slightly dull or grey. When lit by a "warm-white" flourescent tube at a higher 2940K, it will appear slightly yellowy cream. And viewed under a "cool-white" 4230K flourescent tube, it will have a bright white and bluish hue, approaching how it would appear in daylight. Today Natural White and the blue hued Lexicon are the popular choices. When choosing a white paint for your project, consider if the shutters are going to be viewed indoors or out, with warm or cool lighting. Also consider how it will fit in with the surrounding surfaces, paint and materials, are they warm or cool hues of colour? 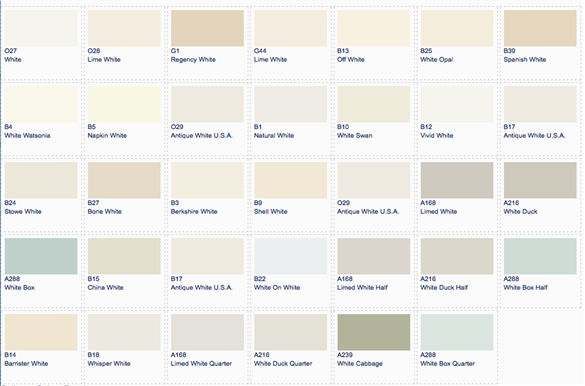 View your swatches of shades and hues of white under the light conditions that the finished shutter will be installed. Then you'll know what to expect when your shutter is installed. 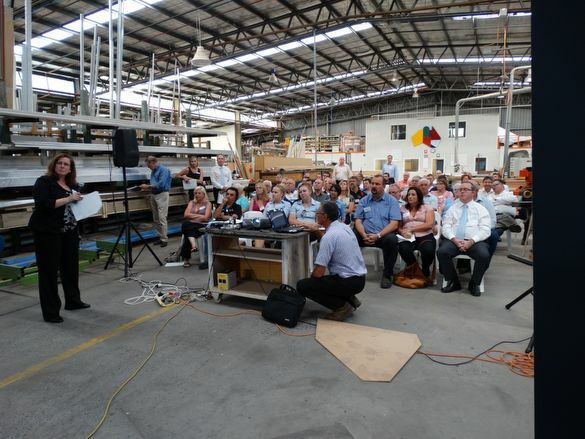 A recent gathering of around 50 leading Central Coast manufacturers at the OpenShutters manufacturing facility at Berkeley Vale discussed the future opportunities for manufacturing in Australia. 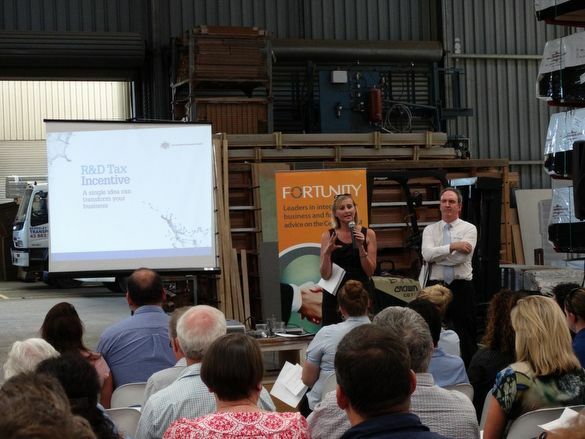 Government representatives from Central Coast Manufacturing Connect presented details on a range of funding schemes available for businesses based in Australia. Many of the local manufacturers that attended are already successfully trading nationally and internationally. Increasingly, innovation is key to growth for Australian manufacturers as globalisation turns the outputs of traditional production approaches into commodities that have to compete on price. OpenShutters is a good news story of a family business that has not just survived, but thrived, by continually evolving it's products using design thinking. While most local manufacturers of timber shutters have closed over the last decade in the face of cheap mass produced imports from China, Indonesia and now even Russia, OpenShutters has continued to provide a bespoke design and production service from the central coast. 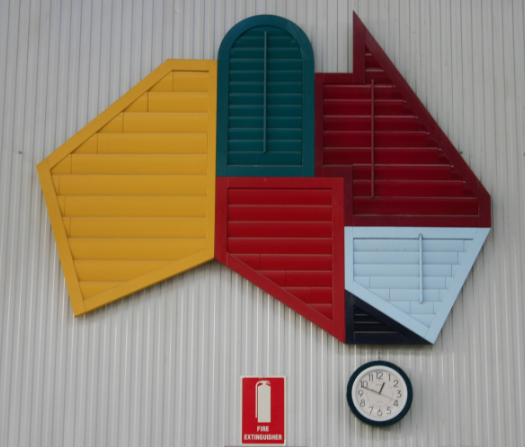 OpenShutters collaborates with architects and builders around Australia who require a premium shutter to their exacting specifications.